Who bears culpability for the pain and suffering that Vietnam’s Kim Phuc came to suffer and why is it only now, 42 years later that she is finally finding relief? Photos via AP photographer Nick Ut. 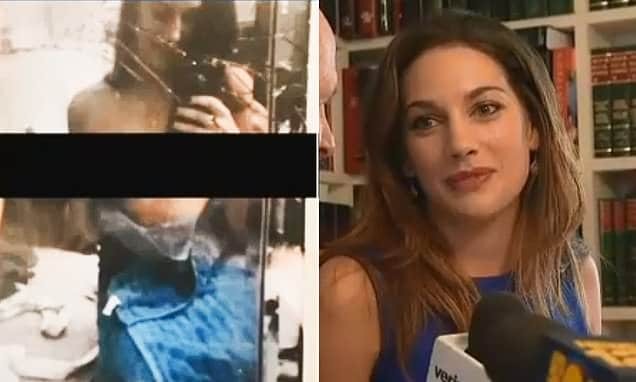 Her naked crying soul has become an iconic image to the ravages of the Vietnam war, a war that came and went for most of us, but lived on horribly for one then 9 year old girl, Kim Phuc, whose fleeing image has become a world eyesore after a 1972 photo of her went world viral. 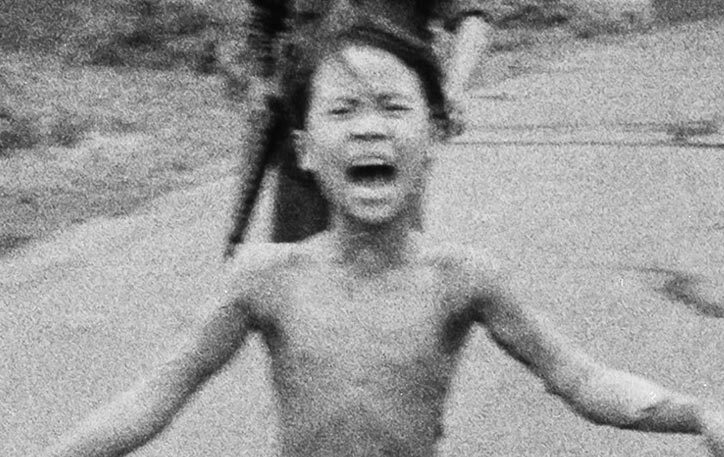 As she and countless other children runs towards an unseen photographer, fleeing the effects of chemical warfare, with American GI’s in the background down a desolate street, unknown to Kim Phuc and other children like her, she would spend the rest of her life dealing with chemical burns sustained that day. Although the burns aren’t visible in the harrowing image, the ravages of an errant napalm strike in 1972 in the village of Trang Bang, outside Saigon, would over the years take their toll on the then 9 year old girl, scarring her body and leaving her in chronic pain. But relief has finally come, some 43 years later as Miami based burns dermatologist specialist, Dr Jill Waibel agrees to take on Phuc on as a patient. June 8, 1972, file photo, 9-year-old Kim Phuc, center, runs with her brothers and cousins, followed by South Vietnamese forces, down Route 1 near Trang Bang after a South Vietnamese plane accidentally dropped its flaming napalm on its own troops and civilians. The terrified girl had ripped off her burning clothes while fleeing. 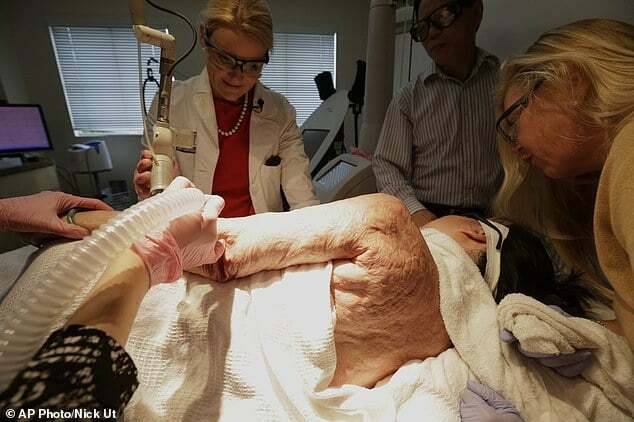 If things go right, Dr Waibel is hoping that ongoing laser treatments may smooth and pale Kim’s blotched skin, which includes scarred tissue that ripples from her left hand up her arm, up her neck to her hairline and down to almost all of her back. Unimaginably the napalm strike at the hands of South Vietnam forces left Phuc with serious burns to over a third of her body. At the time, burns to even just 10% of one’s body was an almost death sentence. But most importantly for Kim Phuc, the treatments stand a good chance of at last relieving the deep aches and pains that the then 9 year old came to suffer, that still plague her to this day. There to support Phuc in a bid to at last put an end to the chronic pain and begin to remedy her omnipresent scars is her husband, Bui Huy Toan with whom she now lives with in Canada, and the photographer who came to take the iconic picture of her, and win a Pulitzer prize is Los Angeles-based Associated Press photojournalist Nick Ut, 65. Compared to the other surgeries and skin grafts when she was younger, Phuc tells the lasers are easier to take. A couple weeks later, home in Canada, Phuc says her scars have reddened and feel tight and itchy as they heal – but she’s eager to continue the treatments. 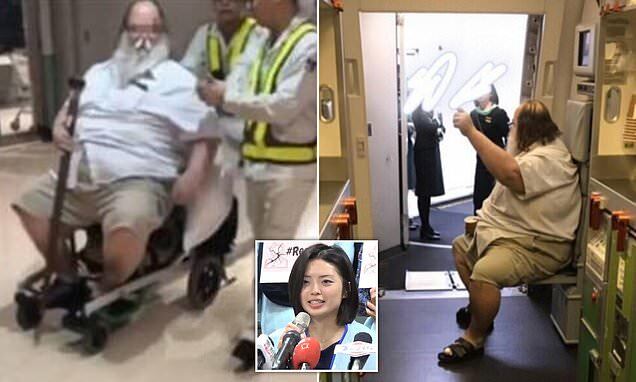 Unsaid though is why it took Kim Phuc so long to receive the treatments she so desperately needed and why it wasn’t afforded to her, but most importantly who bears the real culpability of Phuc’s distress and others like her? In this June 8, 1972, photo, television crews including ITN reporter Christopher Wain and South Vietnamese troops surround 9-year-old Kim Phuc on Route 1 near Trang Bang after a South Vietnamese plane targeting suspected Viet Cong positions accidentally dropped its flaming napalm on the civilian village. 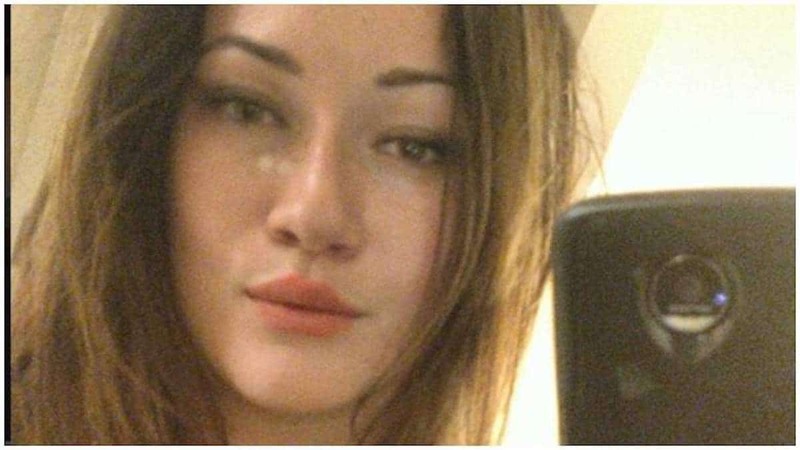 The terrified girl had ripped off her burning clothes while fleeing, but still suffered serious burns over a third of her body.